This is a Salvador Dali hand signed etching titled “KING SAUL” from the 1975 suite “Our Historical Heritage” . 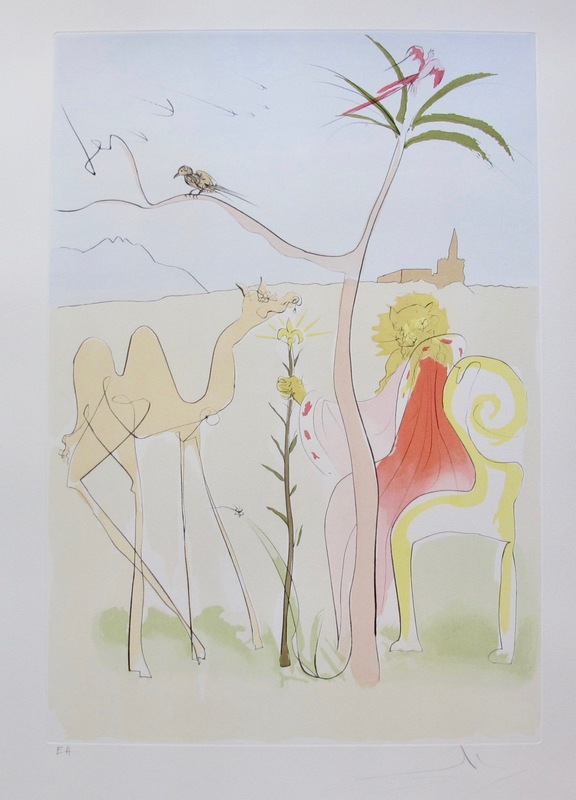 This is a Salvador Dali hand signed etching titled “King Saul” from the 1975 suite “Our Historical Heritage” . Hand signed in pencil by Dali, pencil numbered 370/400. Printed in May 1975 by master engraver Jacques David in France. Published in 1975 by Leon Amiel in New York. This piece is hand signed and stamped on the back by Bruce Hochman, a renowned Dali expert, who certified this piece as authentic. The hand signed engravings from Our Historical Heritage are Salvador Dali’s interpretation of important events and historical figures from the Torah or Old Testament. 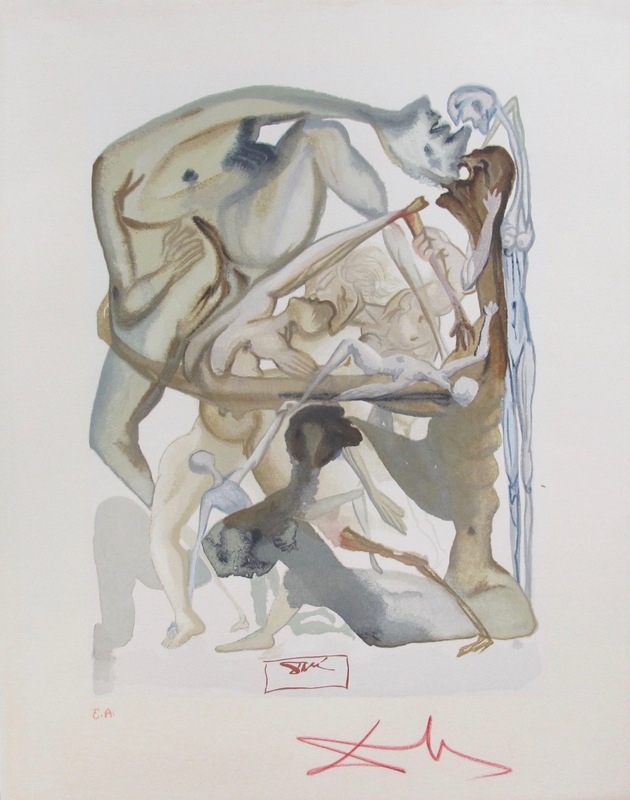 The images that Dali created for this 1975 portfolio make the artist’s tendency for religious themes, seen throughout much of the his work, very apparent. The 11 original engravings are quality representations of Dali’s draftsmanship, illustrated with pochoir coloring that allows for a unique variation on each print. 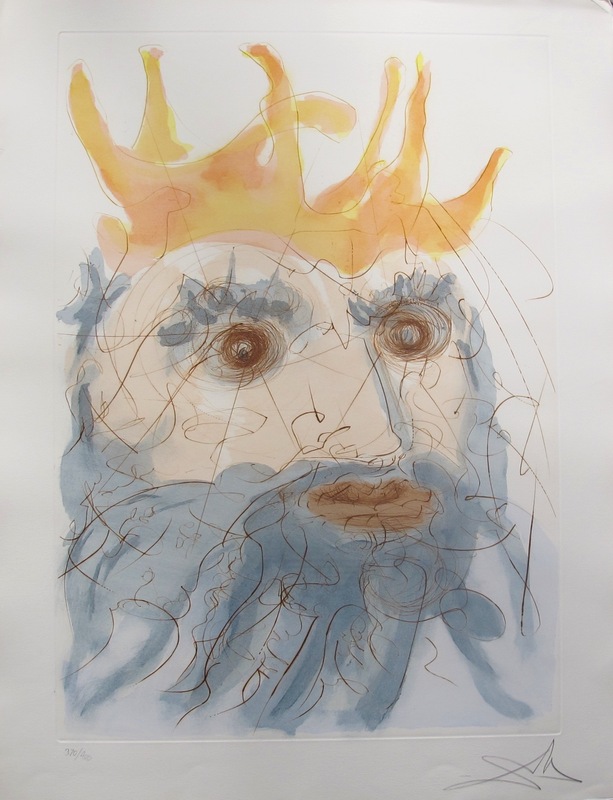 Be the first to review “Salvador Dali 1975 Hand Signed Etching KING SAUL from OUR HISTORICAL HERITAGE SUITE” Click here to cancel reply.